Megaman Battle Network 2 is a futuristic role playing adventure game that has been highly anticipated since its first trailers became available. The game is truly exceptional in every way from its innovative game play engine as well as one of the most entertaining story lines I have ever seen. brilliant game all round and I would recommend. 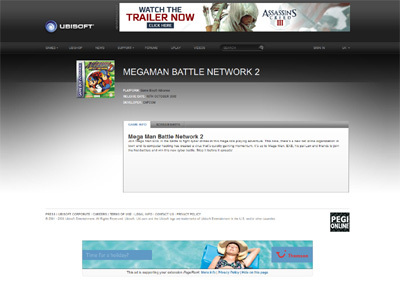 We have also compiled a Review System for this, of which Megaman Battle Network 2 is Rated as Five Stars, the highest possible score available from the Game Review Team.